At the World Dairy Summit 2018, Dr Erik Konings of the Nestlé Research Lausanne, Switzerland, provided an overview of the regulatory framework in Codex and several countries on Minimum Residue Limits (MRLs) of veterinary drug residues in bovine milk. 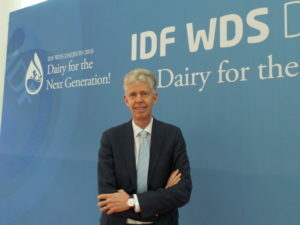 In his talk on 17 October at the Daejeon Conference Centre in Korea, Dr Konings also outlined the current joint efforts by the AOAC INTERNATIONAL, International Organization for Standardization (ISO) and the International Dairy Federation (IDF) to identify one or a suite of analytical methods in the screening and identification of regulated veterinary drug residues with established MRLs. There is currently a call for methods that could meet a set of performance criteria established by AOAC INTERNATIONAL. While it will be a challenge to identify a single method able to analyze more than 180 compounds, Dr Konings said attempts will be made in the coming months to select and validate a method that can screen as many compounds as possible to facilitate the timely identification of contaminated products. He also mentioned that AOAC INTERNATIONAL and ISO will this week signed a cooperation agreement to avoid duplication and improve worldwide harmonization of standards for analytical methods. Also speaking at the conference, Dr Yukiko Yamada of Japan’s Ministry of Agriculture, Forestry and Fisheries spoke about how Codex establishes limits for contaminants, veterinary drugs and pesticides residues. She stressed the importance of considering the potential risks based on data. While microbiological risks can be considered more predominant and more difficult to take care of, contaminants also raised concerns, Dr Yamada added. 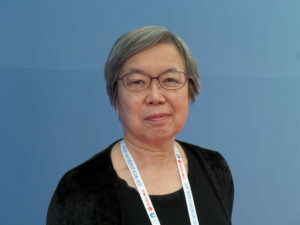 She stressed the importance of collecting science-based information to be used to establish the risk assessment of chemicals under consideration and stated that the General Standard for Contaminants for Foods and Maximum Residue Limits for pesticides and veterinary drugs are updated yearly and available on the Codex website. At the World Dairy Summit 2018, Dr Erik Konings of the Nestlé Research Lausanne, Switzerland, provided an overview of the regulatory framework in Codex and several countries on Minimum Residue Limits (MRLs) in veterinary drug residues in bovine milk.